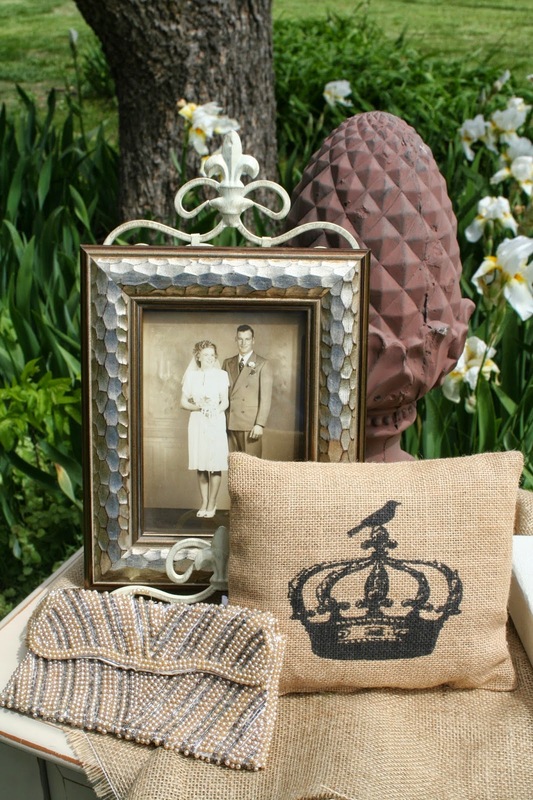 My beautiful grandmother’s beautiful clutch & pictured with my handsome grandfather above. For as long as I can remember I have loved, well loved vintage items. As a child I would repeatedly get in trouble for going through boxes in our attic, my moms closet, and cabinets, trunks and drawers at my Memaws house. I’d be found with my head stuck in a trunk pulling out items left and right with a mouth full of questions despite the consequences. I’d want to know if, where, when, how, and who was involved, the history and story behind whatever treasure had caught my eye. My mom, a single mom of 3 children would typically sigh, tell me a tidbit and then move me along to pick up my mess. However my Memaw, almost always would take me on a trip down memory lane so detailed that you could smell the scents, feel the air and the stories always left me wanting more. My Memaw, while a tough and hard woman, was soft at the core. A romantic at heart, like me she loved to tell me the story of my Papaw, the women arguing over him in her hair salon, their introduction , then their romance. He was her soul mate. The love of her life. My favorite memory of her was a weekend I came home from college and spend the afternoon going through her hope chest with her. It wasn’t until her passing that I receive both of her wedding rings, as well as a beaded little clutch she used on her own wedding day. This clutch started a collection of beautiful vintage items lovingly collected and distributed throughout the decor of my home. 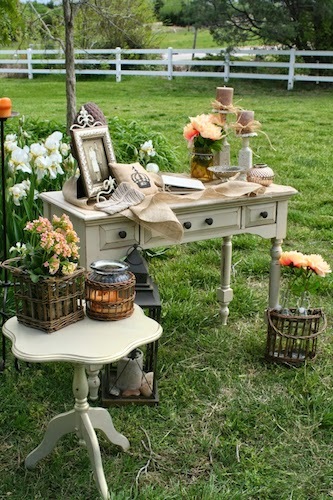 A great way to acknowledge loved ones in your life not able to attend is to feature them through decor at your event. Friends frequently requested to borrow these items, or host events at my house and the idea of Borrowed Charm was born. Our goal is to help every woman have the event of her dreams, within their budget. Weddings, bridal showers, baby showers, backyard BBQ’s, graduation parties, we love doing it all and look forward to helping you.